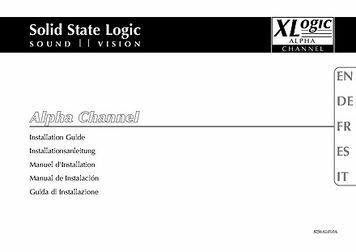 I bought SSL X Logic Alpha Channel for speech and vocals recording primary. I never heard it before so I've purchaised the pig in a poke. But it was a good choice! Especially EQ is a powerful weapon. So simple and precise. You can very perfect to set the color that you need. I processed the instrument tracks in my music mix. Kick, snare, bass, acoustic guitar. And the miracle happend! Every instrument sounds much better. Kick was punchy with smooth low end, snare was simply awesome, deep bass that have nice middle harmonics hearable in the mix, acoustic guitar have got magnificent bright sound. Final mix has a space and pushfulness. 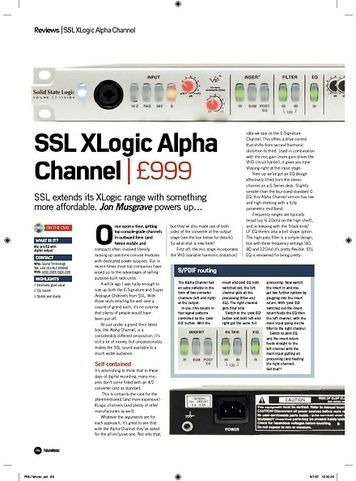 I've got the SSL quality for tolerable price. I'm ordering second unit for stereo processing. 75 dB gain reserve with a virtually non-existent breath. The Variable Harmonic Drive delivers a warmer, more distant sound. 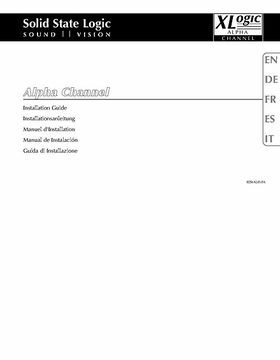 The converter is of quality and the 2 channels offered by the spdif are used with intelligence, which is appreciable. It is absolutely perfect for my use. 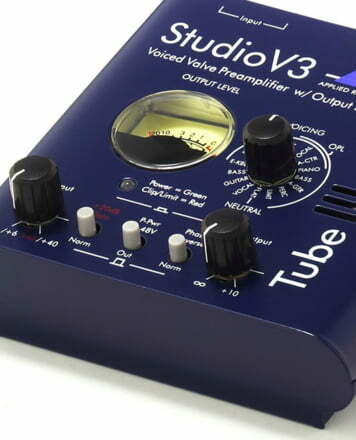 Indeed, the only complaint that could be made to him is the fact that the inputs (a double jack / xlr) is only on the front of the device. Thus, in the studio, it is a little less convenient to patch. But in my home studio where I plug my bass or micro on occasions, this is on the contrary one of its advantages. 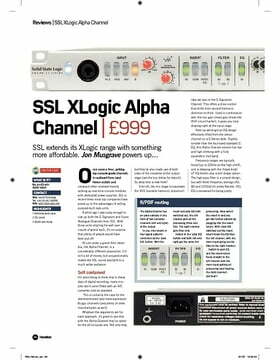 I had a mindprint envoice mkII digital edition and I am happy to have resold it to buy SSL. It's kind of day and night.  ID: 113028 © 1996–2019 Thomann GmbH Thomann loves you, because you rock!